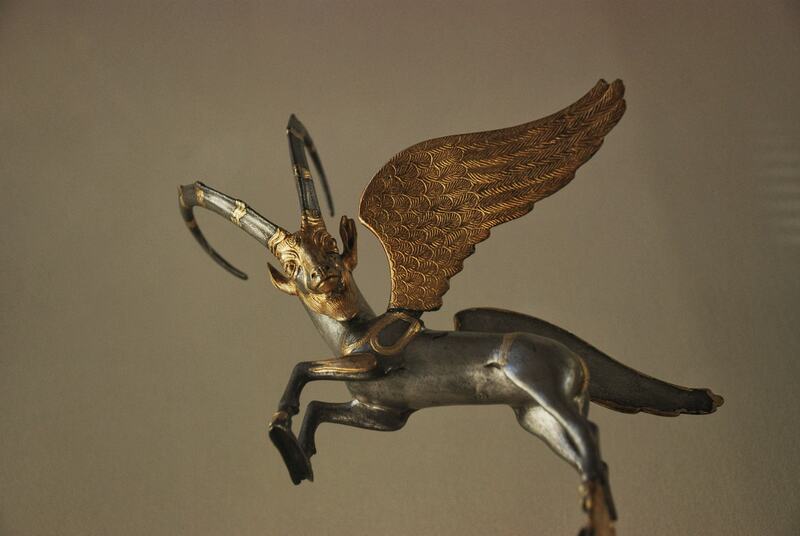 This winged ibex was a handle for a metal amphora-shaped vessel, made in the 4th century BCE in Achaemenid Persia. This high level of detail was achieved through the use of lost-wax technique. It has been suggested that this piece of art resembles both the god Bes and the Greek god Silenus, which may indicate that a Greek artisan made this piece of art. Louvre Museum, Paris. Sully wing, ground floor, Room 12a. Photo by Jan van der Crabben (Creative Commons: Attribution-NonCommercial-ShareAlike).